Say goodbye to common email nuisances. Utilise Microsoft's world class Office 365 business email infrastructure, with technical support provided by Hunter Website Services. 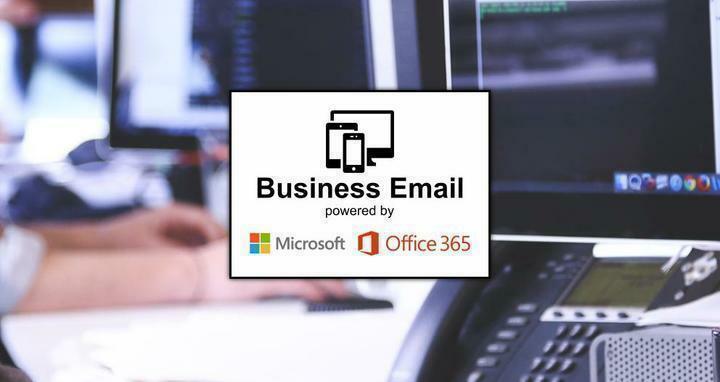 Office 365 business email includes many features to improve your email experience. An effective junk mail filter to keep your inbox free of junk. Reliable uptime so your email is running when you need it. The ability to sync read and sent emails across all of your devices. Easy setup for any new devices you add to your business. "Out of office" automatic responsones for when you're on leave. As well as webmail access so you can log in on any computer without the need for Outlook or any kind of set up. Also available are a myriad of advanced features. Such as shared inboxes, email forwarding, automatic replies, email aliases, whitelisting and plenty more. Office 365 is the way business email should be. Reliable, flexible and hassle free. Excellent customer service, very professional and extremely knowledgeable. My website is amazing and the back up and ongoing support has been fantastic. Highly recommend.